In the lead-up to the release of it’s debut album In Time through it Records, mood-altering soundscape engineers Time For Dreams are unveiling the record’s third single ‘Lighthouse’. It’s with great pleasure that Weirdo Wasteland premieres the track, which embodies the subtle nuance and heady wanderlust that informs and inspires the work of members Amanda Roff and Tom Carlyon. It’s my absolute delight to act as host for the premiere of the newest single – ‘Lighthouse’ – from Time For Dreams, plucked delicately from its forthcoming album. The creative pairing of Tom Carlyon (Standish/Carlyon, Devastations) and Amanda Roff (Harmony) draws together disparate influences and ideas to create a sound that is fluid, yet cohesive and engaging. Time For Dreams crafts impeccably plush soundscapes. You know, the kind of songs that are immersive, engrossing and effortlessly luscious. The debut album – releasing next month through it Records – is the product of a long gestation period, where ideas formed and were made real over a few years. As both Tom and Amanda moved through phases of their life, Time For Dreams seemingly became a figurative piggy bank for ideas that fit under a certain escapist fantasy. The end result would arrive eventually – everything happens in time. In Time styles itself as an ode to escapism – not in the sense of mentally placing yourself elsewhere, but literally and geographically escaping to exotic locales and experiencing another part of the world. Isn’t that what life is about? The act of cultivating experiences is one of our driving forces and most of us are too caught up in our daily minutiae to keep in sight of that goal. In Time (and ‘Lighthouse’ in particular) evokes mental imagery of Mediterranean breezes, tropical greenery, luminous pools of water, auroras dancing intricately along the horizon, foreign tastes, moon bows refracting starlight at night, pulsing strobes above nightclub dance-floors, parhelia arcing across the sky at daybreak, whitecaps of waves crashing on sand. I’m waxing lyrical here, but if you listen to the record then you’ll get what I’m on about. A tangible wanderlust pervades every note, every utterance of this record, and I want to place strict emphasis on lust. As I said before, not everyone can drop everything to seek these foreign shores. It’s a record of dreaming, imagining, and wishing – not necessarily attaining. ‘Lighthouse’ is a perfect example of this intimate reverie – making wishes, desiring a future without commitments and without limits. Before you treat yourself to the first taste of this sumptuous morsel, read what Amanda Roff had to say about the genesis of Time For Dreams, what ‘Lighthouse’ means to the duo and what to expect from the record when it emerges in late July. To start, I’d love to touch on the conceptual impetus behind beginning Time For Dreams. What ideas did the two of you connect on that helped form the basis of the sound and approach? 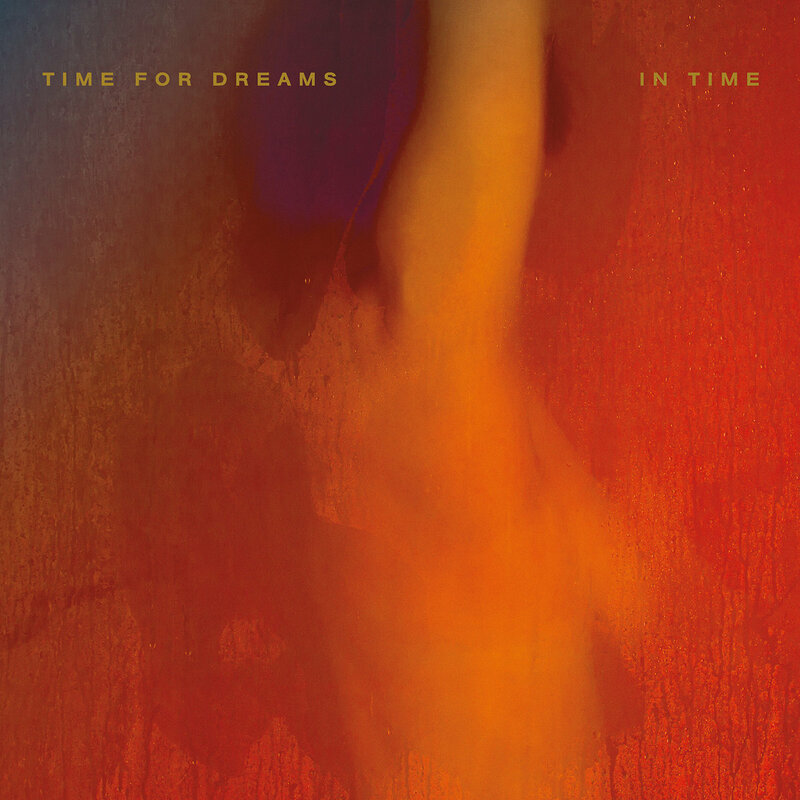 The concept behind Time For Dreams was initially a meal – a very particular meal that had been fed at one time to Tom Carlyon in Ravenna, Italy. Tom’s previous project Standish/Carlyon was disintegrating and with it Tom’s dream of ever eating this particular dish in Ravenna ever again. It was a simple dish, really – comprising of roasted salmon, with a balsamic glaze, and garnished with obscenely ripe strawberries. However, the circumstances of eating it (being on tour at the time), the ingredients and the subtle mastery of the meal’s construction could not be replicated anywhere else in the world. The only solution was to tour there again and the only course of action was to form a new band. Tom and I had known each other for some time through our mutual comrade Dan Kelly, and one strange night Tom asked me if I was interested in making some music. While the concept began with the salmon and strawberries, it quickly grew into a series of joint fantasies about nightclubs in which we, the nameless, song-less band would like to play gigs. Our initial creative process involved long discussions about the location, clientele, lighting, décor and exotic liquors of fantastic nightclubs we longed to perform in, and the unique vibe of each fantasy nightclub spawned a song. These imaginary night clubs formed the basis of our sound and approach. Was there a particular creative itch that you were looking to scratch that wasn’t possible with your other projects? I shouldn’t speak for Tom on this one, although I think it is safe to say he had not previously been in a band with someone who shared his desire to write a new team song for the West Indian Cricket Team – a heavy dub banger that would revive the team’s feeling of world appreciation and lead them to crush Australia and all other opposition for the top spot. For myself, I was excited about being a lead singer and sole lyricist. The songs on the album sound lush – meditative and fluid but composed and whole. How long did the process of assembling this record take? Thank you for that fine compliment James. It’s actually crazy how long it took to get this album out. It took years. Like, years. Maybe five years. Not that we were working on the record that whole time, but if I estimate the length of the process from that fateful night when Tom asked me to make some tunes, and the moment when Kate Reid of it Records agreed to release them, it was probably about that long. Only a little bit of that time was spent actually jamming/playing/recording – we both had a fair bit of other stuff going on – but a lot of it was spent thinking and fantasising and going on tangents and making decisions. Any ‘wholeness’ you hear is a result of that time, time being the ultimate luxury. Lighthouse is a great track! What does this song in particular mean to the two of you? Thank you again James! This song is set very much on the Aegean for both of us. The nightclub we had in mind for this song is located in Greece. It’s a very sunny part of our set, less humid than the other tracks, definitely has a refreshing sea breeze ruffling the hairs and a beat designed for nautical recreation. Without giving too much away, what topics does this track touch on lyrically? The lyrics are an invitation to intimacy, but intimacy without fear of stifling closeness, the limitless sea and the sun and the sky are part of the intimacy – a perfect balance between being together and being alone. The line about the lack of coins in the fountain refers lightly to the Frank Sinatra song, the associated film and the tradition of throwing coins into the Trevi fountain in Rome. Throwing coins implies making wishes, therefore; no coins means no wishes, no wishes means no commitments, no future, no future, no worries etc. Being a debut album, did you build In Time to have a general theme, statement or intent? Only in the vaguest sense. There is definitely an over-arching element of fantasy, of secret selves and exotic locales, made only more exotic by the fact that these secrets, these multi-layered, sophisticated selves were conceived and nourished by two thoroughly impecunious dreamers, one of whom spends considerable time on The Calder Freeway in a Subaru Forrester, and the other, who can generally be found on The Hume Highway in a Toyota Camry. July 28 – the album is released in full and people are listening to it. What do you hope they get from the experience? I hope they travel. I hope they get a holiday. I hope they get a break. I hope they breathe – in and out. I hope they nod slightly and maybe sway a little bit. I hope they vague out and transcend. I hope they make out. I hope they blow their last 10 bucks on a bottle of booze and watch the sun set. I hope they come to the album launch on September 1st at The Tote. Listen to ‘Lighthouse’ below, then jump on a purchase of In Time when it is released next month through the incredible it Records.